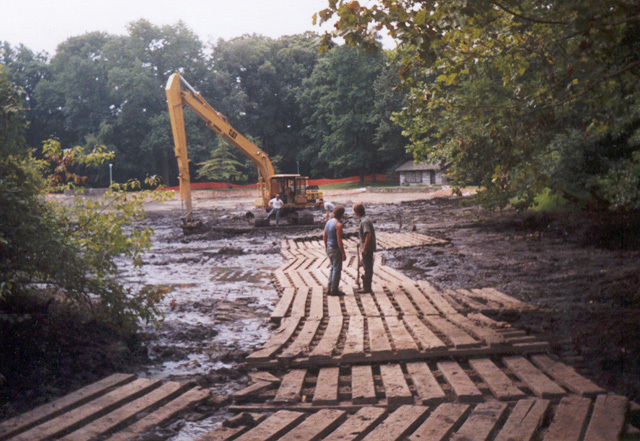 Frequently Asked Questions - Toth Bros. Clearing & Dredging, Inc.
Is there a fee for having someone come out to give us a proposal? A site visit comprises of about 2 hours of research prior to even visiting your site. The actual pond evaluation can take anywhere from 2 to 5 hours, depending on your needs. Once all the on site information is brought back to the office it takes a minimum of 6 to 8 working hours to put together an official proposal. It actually costs us about $650.00 in man hours to create a proposal and should we decide our charge is $300.00 to $500.00 for a site evaluation depending on the scope of the evaluation. If we should end up the successful contractor for your project; we will credit that $500.00 back toward your first payment. This may help to eliminate spending many hours preparing this information for people who weren’t really serious about their project in the first place. Once we decide to go forward with our project, how long will the permit process take? Every project is unique in its permit requirements. The standard time frame is between 45 and 90 days. There are a limited number of project that have very complicated issues and these project can take up to a year. Who are the agencies that will be contacted for permits and approvals? Local Conservation District, PA DEP Dams & Waterways, PA Fish Commission, US Army Corp of Engineers, local townships and PA One Call. This is a standard list. Depending on the project there may be more or less. What does the permit process cost? Every project is different; however an average for acquiring the necessary permits and approvals has ranged between $1,000 and $2,500. There are a few projects that have cost over $15,000 but these are very unique and complicated and you would be well aware of the cost prior to any money being spent. What does the dredged material look like and where will it go? Honestly, the silt that is removed from your pond looks a lot like mud soup. There are several options for what to do with this material. If fill material is needed elsewhere on your site, we can create a silt containment area where this material can be contained and left to dry out for use later. Several times there is no need or room to keep any of the dredged material on site and in this case, we will haul the material off-site. Off-site can mean to our recycling facility in Sellersville, PA or it may mean to an alternate site that is in need of this material. In some rare cases, the dredged material may have to be taken to a pay dump, which is not the most cost effective situation, but sometimes there is not a lot of options. In any case, you will be well aware of the plan, the location and, if necessary, any additional costs involved. What if I want to make changes to our original design or plan during the course of the project? During the course of a project, due to a variety of factors, there are several times that changes could and should be made. Because we are personally on site, you will have access to us to address these changes, offer opinions and ask questions. Our personalized approach is what has generated our long list of satisfied customers. Any and all changes, and the costs involved, will be clearly defined before any decisions are made. Will there be much damage to my property or surrounding landscaping? At Toth Bros. Clearing & Dredging, Inc. we are "hands on" contractors who take pride in the quality and integrity of our work. We will work hard to preserve the condition of your grounds even when it means an additional expense to us. 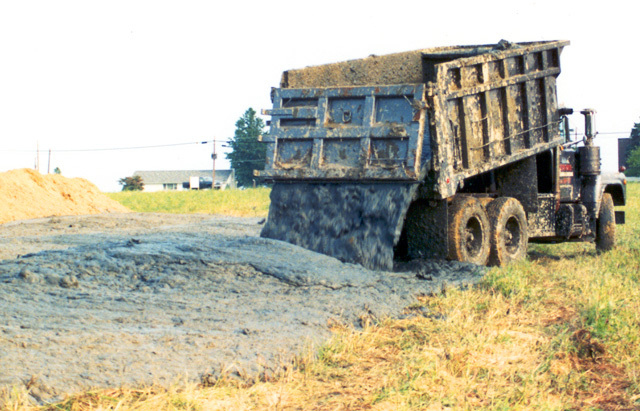 If necessary, we will use our lumber truck mats to create a single roadway to your pond site. All truck traffic is kept well within legal weight limits and by using our mats we only disturb a 12’ section of land. Once the project is finished, the mats are removed and the lawn area is completely restored.